Set against the backdrop of WW1, Mayfair 100 is the telephone number for a small specially-formed crime busting team based in a house in Mayfair, London in 1915. Just 10 months into the First World War, the City is flooded with women taking over the work vacated by men who have gone to war. Chief Inspector Peter Beech, a young man invalided out of the war in one of the first battles, is faced with investigating the murder of an aristocrat and the man’s wife, a key witness and suspect, will only speak to a woman about the unpleasant details of the case. After persuading the Chief Commissioner to allow him to set up a clandestine team to deal with such situations, Beech puts together a small motley crew of well-educated women and professional policemen. 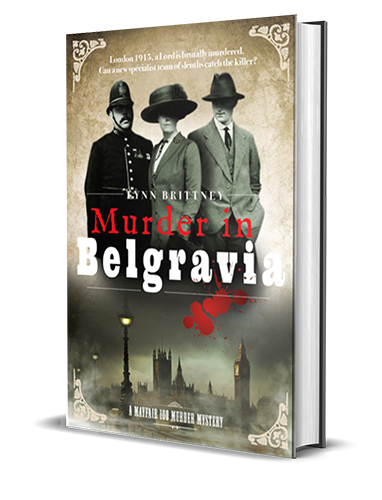 As Beech, Victoria, Caroline, Rigsby and Tollman investigate the murder, they delve into the seedier parts of WWI London, taking them from criminal gangs to brothels and underground drug rings supplying heroin to the upper classes. Will the Mayfair 100 team solve the murder? And if they do, will they be allowed to continue working as a team? London 1915. 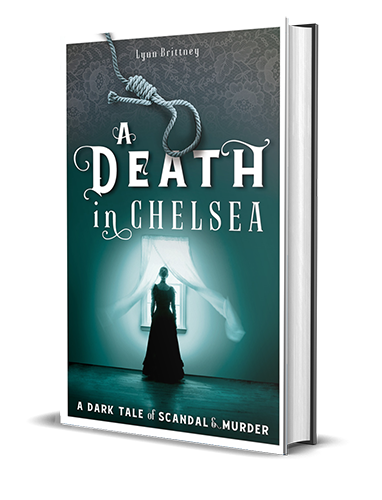 A society gossip columnist has been found hanged in her apartment – was it suicide or murder? 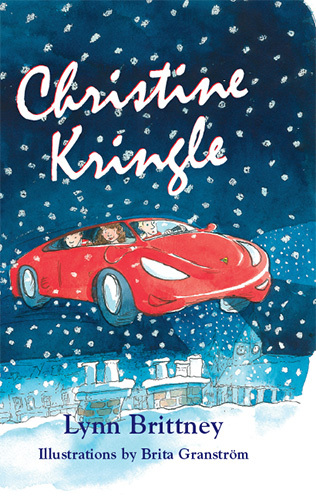 Her family suspects foul play and, when another death occurs, the case heats up for Chief Inspector Beech and his Mayfair-based team of crime fighters. As WW1 continues to cast its long shadow, their investigation uncovers a sinister web of blackmail, tragic secrets and ghosts from the past. 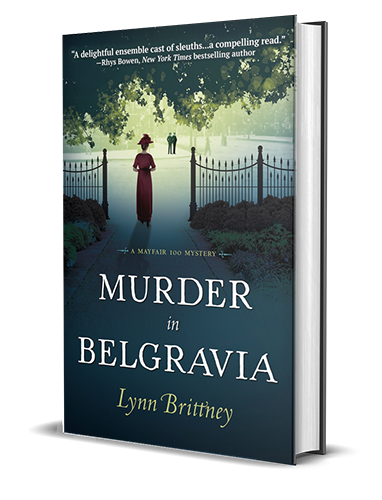 An atmospheric, gripping and poignant murder mystery. 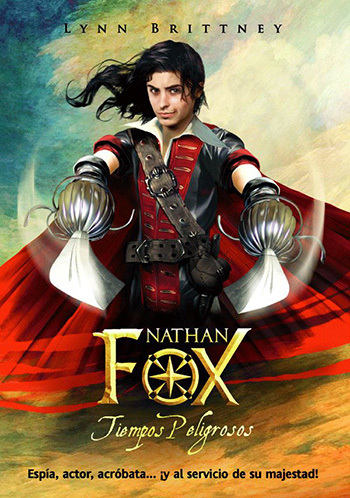 Nathan Fox is a young boy actor in the same company of actors as William Shakespeare. 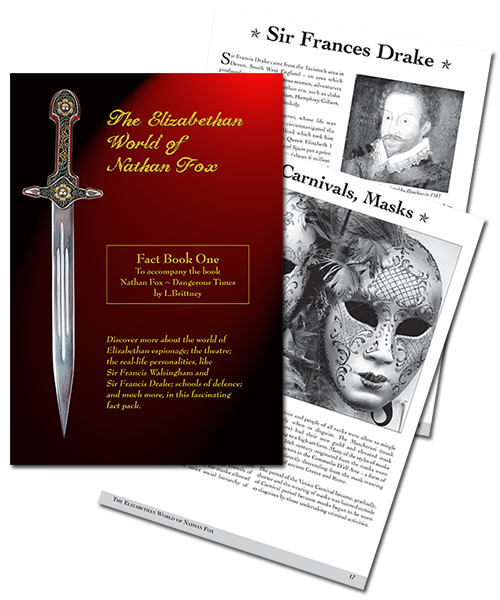 Nathan is recruited into the fledgling Elizabethan Secret Service by Sir Francis Walsingham and his adventures, in partnership with England’s most successful agent, John Pearce, will form the basis of many of Shakespeare’s later plays. A swashbuckling action adventure which takes Nathan to Venice and to take part in a huge sea battle with the great General Othello. 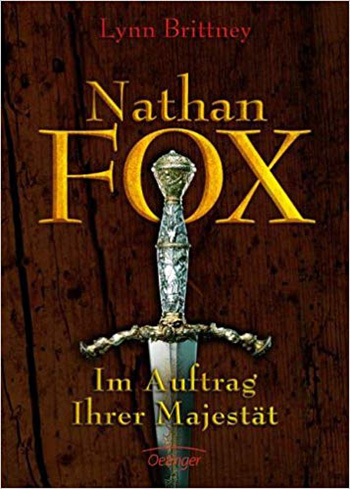 The second book in the Nathan Fox Series. Nathan, a young spy working for the Elizabethan Secret Service is sent, with his partner, John Pearce, to the Netherlands to intercept a secret delivery of Spanish Gold to the Spanish Army. 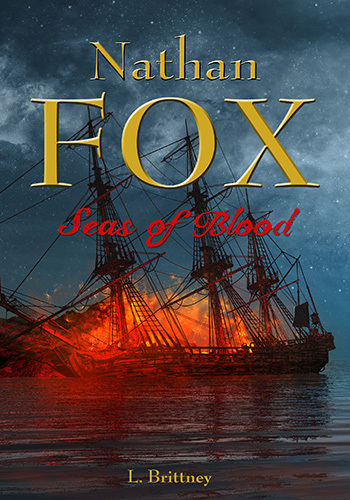 An exciting tale of double dealing involving pirates, mercenaries and witchcraft. 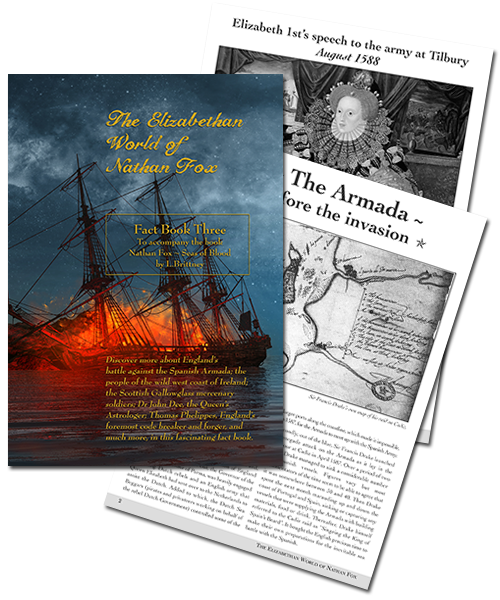 In this third book of the series, England is facing the might of the Spanish Armada, which is gathering to invade. 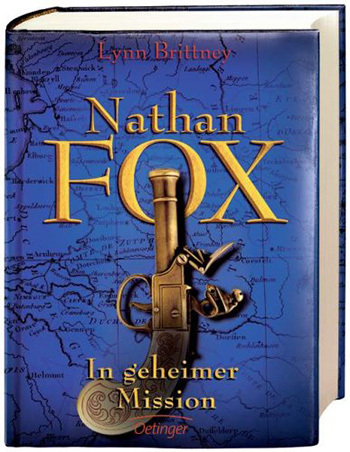 But first, trained espionage agent, Nathan Fox and his partner, John Pearce, must go to Ireland, on a mission that involves sorcery, pirates and decoding a list of Spanish spies. 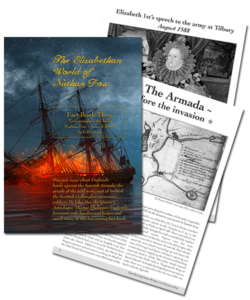 Then they must join Sir Francis Drake to do battle against the feared Armada. 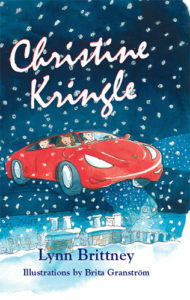 A fun Christmas fantasy book about the lives and working practices of the World’s Christmas Gift Bringers and how the daughter of Kriss Kringle of the USA and her friends save Christmas from extinction in England. 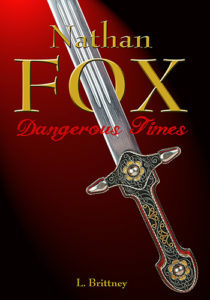 Fact book to accompany the novel Nathan Fox: Dangerous Times. 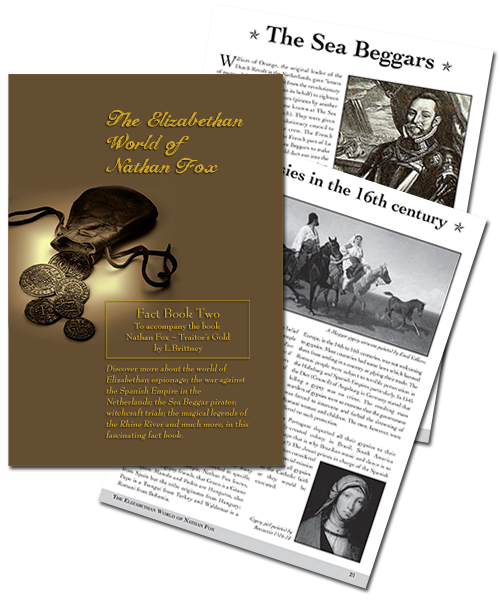 Discover more about the world of Elizabethan espionage; the theatre; playwrights; London and Venice in the 16th century; the real-life personalities like Sir Francis Walsingham and Sir Francis Drake; Schools of Defence; Slavery, and much more, in this fascinating history book. 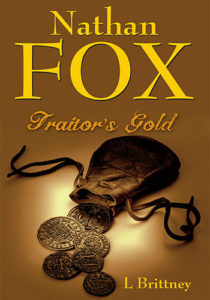 Fact Book to accompany the novel Nathan Fox: Traitor’s Gold. 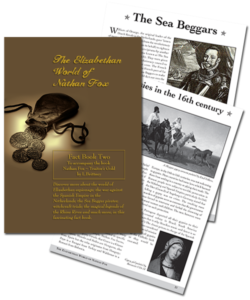 Discover more about the world of Elizabethan espionage; the war against the Spanish Empire in the Netherlands; the Sea Beggar pirates; Witchcraft trials; the magical legends of the Rhine River and much more, in this fascinating fact book. Fact Book to accompany the novel Nathan Fox: Seas of Blood. Discover more about England’s battle against the Spanish Armada; the people of the wild west coast of Ireland; the Socttish Gallowglass mercenary soldiers; Dr John Dee, the Queen’s astrologer; Tomas Phelippes, England’s foremost code breaker and forger, and much more, in this fascinating fact book.